This ‘Sea Sand’ printed Pyjama Set is perfect for bedtime or just to lounge around in. The plain white top with ‘Sea Sand’ motif and matching red trim and striped trousers are a great looking combination. 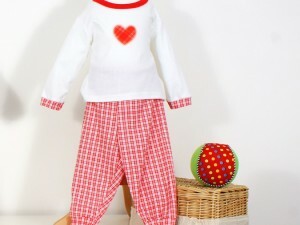 Be the first to review “Sea Sand Pyjama Set” Click here to cancel reply.